This chest blends traditional and rustic designs, creating a unique and stylish piece, perfect for your bedroom. With seven drawers, two doors, and four shelves, this piece is not just nice to look at, but also will provide plenty of convenient storage in your home. Plus, it has a beautiful distressed finish, adding vintage charm to the classic raised faces and elaborate molding. The Terra White Rustic 7 Drawer, 2 Door Mule Chest by International Furniture Direct at Miskelly Furniture in the Jackson, Pearl, Madison, Ridgeland, Flowood Mississippi area. Product availability may vary. Contact us for the most current availability on this product. 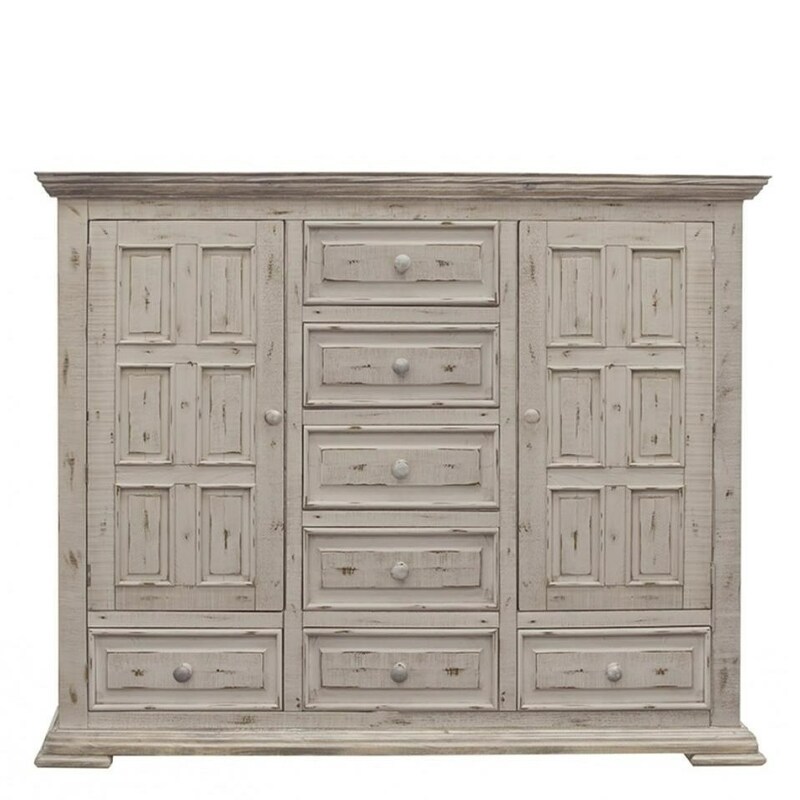 The Terra White collection is a great option if you are looking for Rustic Rustic furniture in the Jackson, Pearl, Madison, Ridgeland, Flowood Mississippi area.